So I finally bit the bullet and made my own Youtube channel. I've only been making videos for three weeks and I'm already so proud of the little milestones I've achieved in that time, especially given how nervous I was about doing it in the first place. Some of you may or may not remember I was part of and helping out run the In Real Life Channel, but I quickly realised it wasn't for me as coping with the stress and demands of adhering to other peoples schedules just isn't realistic for a mum of two now, therefore I decided to jump ship. I really missed not filming videos quite quickly after leaving though, and decided what the heck - I'm setting up my own. There is only so long I can ramble on to John about what I've got at the shops today right? Youtube is ever growing and whilst at the minute I do still finding it easier thrashing out my words on a keyboard, I am also loving sitting down and getting my words on film too. My blog is still my main focus and I'd like that to remain because it's been going for a good three years now but I'd love if you could subscribe as there will be a sneaky little giveaway soon, so keep your eyes peeled. 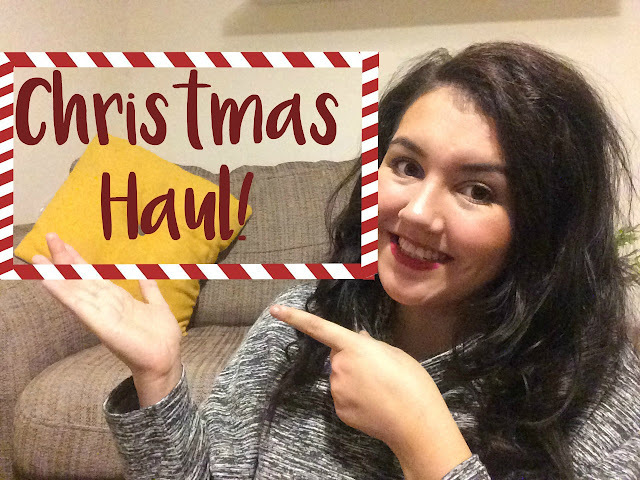 There is already a few videos up, including a festive haul, Patricks Intensive Care story & What's in my changing bag! Do leave a comment and let me know if you have a channel yourself, as I'm always on the hunt for new YTers to follow.